It had to happen at some point and it did yesterday with a frenzy of migrating bird activity across London and the south-east, with new birds being seen throughout the day. The signs were good early on with a stack of Wheatears dropping in all over the place, notably at Wanstead Flats, where at least 27 were seen during the morning, along with a Ring Ouzel, three Whinchat and five Common Redstarts. Over at Staines Moor, a Grasshopper Warbler was seen on the walk down to the Moor near the burnt-out car next to the reedbed, loads of common migrants such as Blackcap, Common Whitethroat, Willow Warbler and the odd Sedge Warbler were seen and heard, a Whinchat on the Moor itself along with ten Yellow Wagtail and 16 Wheatear. 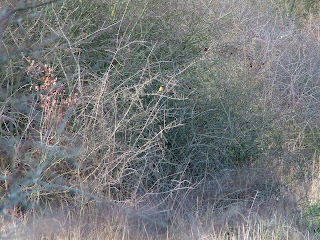 At Canons Farm, David Campbell had two Tree Pipit, another three Common Redstart, four Wheatear and was able to enjoy the return of the Barn Owl, seen hunting at first light. 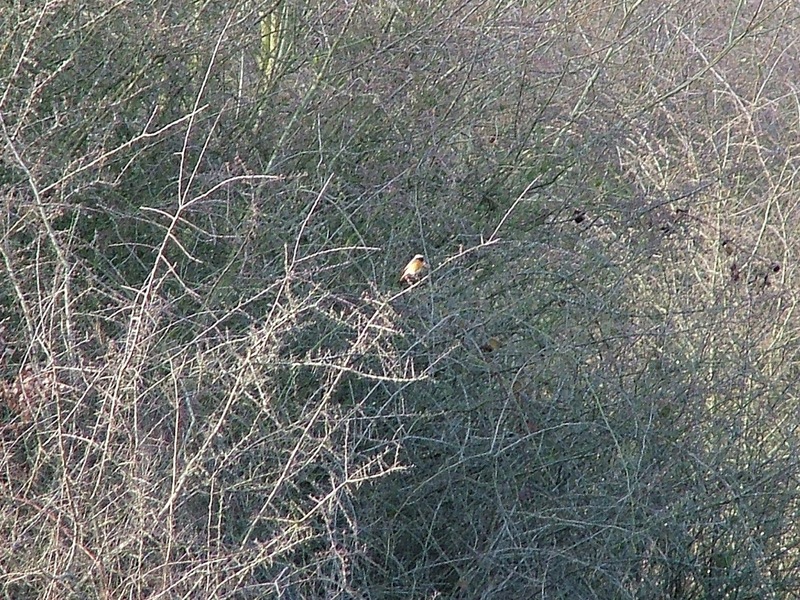 It was clear by the afternoon that sightings of Common Redstart were exceptional in number – by that stage the count was 43 in the London recording area. I couldn't get out until the late afternoon, when Annie and I went for a walk around Bookham Common. No Nightingale as yet, and we hadn't seen much at all until we were returning back to the car. 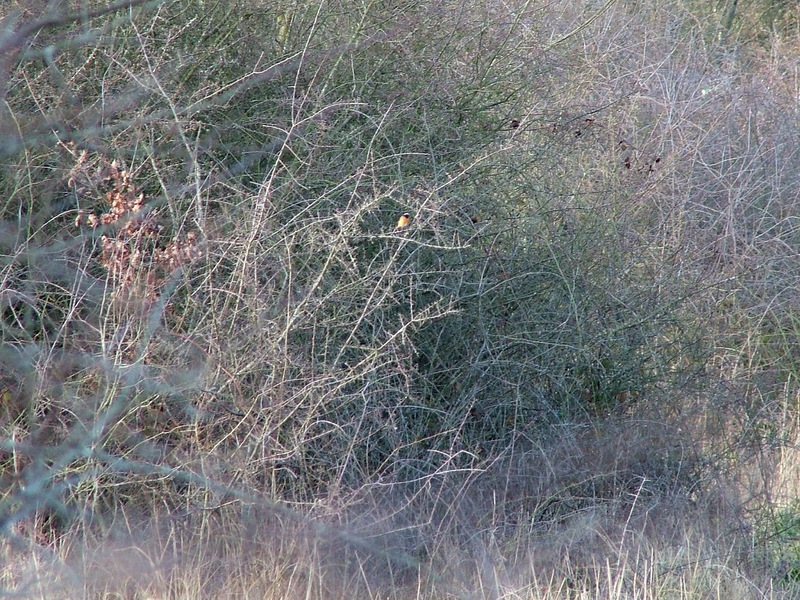 First of all we saw a Common Whitethroat perch in the hawthorn bushes, but best of all was an unexpected vibrant male Common Redstart – the 44th London Redstart sighting of the day – that flew up close by, hovered for a moment before flying back to a branch. Great stuff. Annie had never seen one before, and she had good views through my bins as this stunning bird continued to feed around the area. It was nice to see her actually enjoy some birding – unusual to say the least – having earlier watched a Great Spotted Woodpecker drumming in the woods. 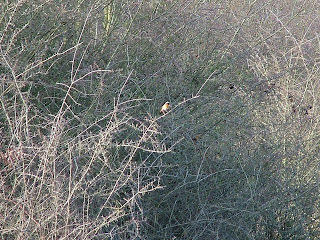 I didn't have my scope to get any close up digiscope images but the Redstart was a brilliant find nonetheless. STONE THE CROWS! IT'S A SURREY STONE-CURLEW!